These vary from workshop to workshop, depending on whether it is a short course, non-residential workshop or a residential retreat. On each course page, under BOOKING, there is a link stating that course's Terms and Conditions. Please be advised that refunds will not be granted when a cancellation is made at short notice, regardless of circumstance. 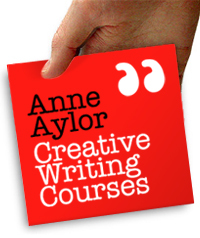 Anne Aylor Creative Writing Courses reserve the right to alter details of any course should illness or any other emergency prevent her from teaching. Creative Writing Courses also reserves the right to cancel a course if exceptionally low enrolment would make the course unviable.